BetVictor Casino comes from a company with a wealth of bookmaking experience, giving the punter what they want. They have transitioned well into online gaming and, their live casino is a feather in their cap. Their many, many slot games are available on pretty much all mobile devices out there. Originally called Victor Chandler, the BetVictor Group is licensed by the government of Gibraltar and is regulated by the Gibraltar Gambling Commissioner. As one of the industry's leading independent bookmakers, founded in 1946, they entered into online gaming with "The Spin Room" which was later developed into the BV Casino. This BetVictor Casino review will have a look at the software, the games, the promotions and the customer support on offer from one of the industry's longest running, quality gambling offerings. Hosting all the latest and greatest NetEnt games Bet Victor Casino certainly has the tools to make it one of the better online gaming experiences available. Whilst BV Casino is only available in instant play, the games are neatly packaged into different categories so you can easily and quickly find what you are looking for. 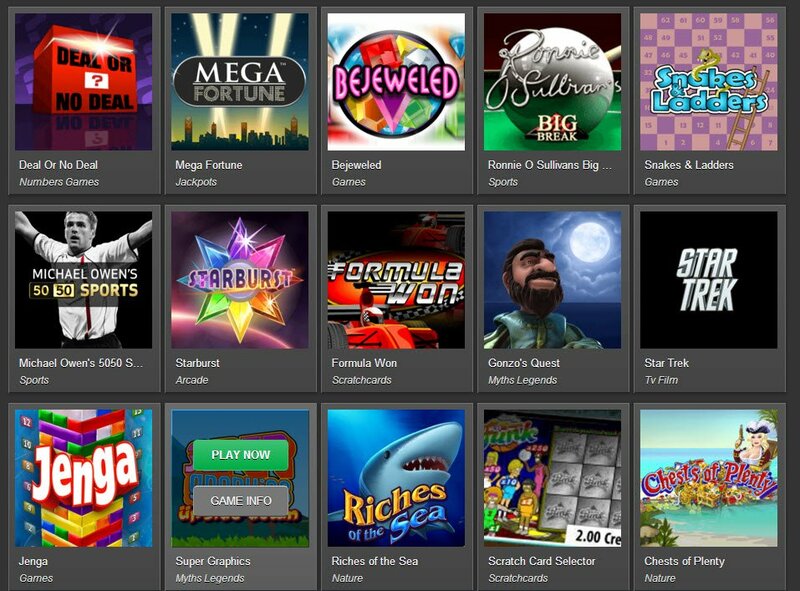 There's the ever changing Top 20, and the Arcade category, which contains all our favourite BetVictor Casino 3-Reel slots. The new, video slots have been categorised under TV & Brands. There you will find The X Factor Slot, Spiderman Slot, and, one of my personal favourites, the Deal or No Deal Slot. Here at VegasMaster, we do like a NetEnt slot. 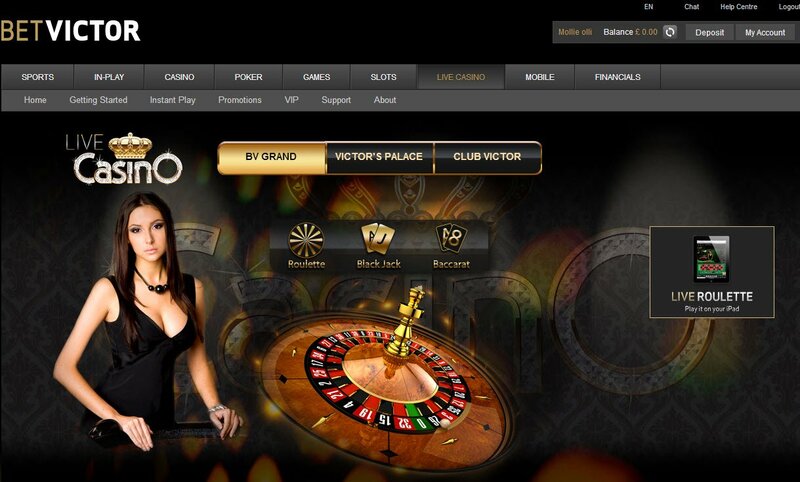 The quality graphics and immense playability make them amongst the most reliably enjoyable available on the market today and, BetVictor Casino certainly utilised their many years of bookmaking experience when it came to the transition to online gaming, banking on a sure thing with NetEnt. The BetVictor Live Casino is testament to the quality software they have invested in, not to mention BetVictor Mobile Casino. In a nice touch, you can read a bio about each of the live dealers before you start playing, and the mobile casino is available on pretty much every device out there. Whilst BV Casino is only available in instant play, the games are neatly packaged into different categories so you can easily and quickly find what you are looking for. I personally have always felt that, instant play is much more useable on a mobile device while, a PC or laptop can always benefit from the option to download a casino lobby for ease of use. After signing up, you will receive the obligatory welcome email, with a twist. The more you play the more tickets you receive and, the more tickets you receive, the closer you are to winning a brand new car! Let's hope you won't be receiving any parking tickets once you've nabbed yourself the Audi, Mercedes or BMW on offer. 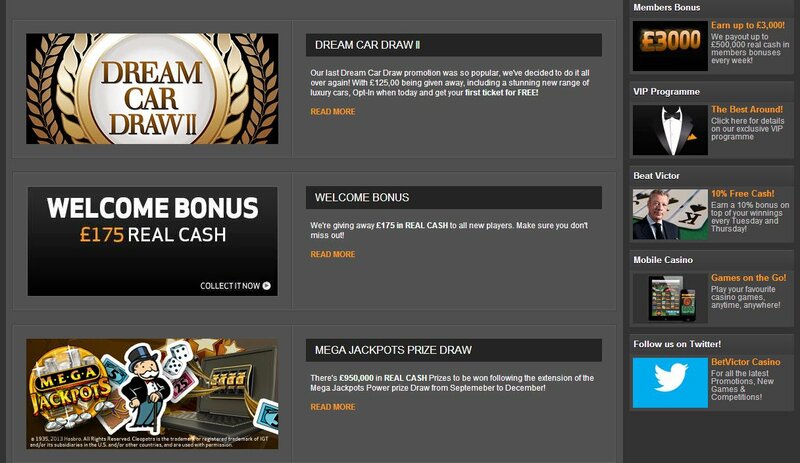 Win your dream car with BetVictor Casino today! The BetVictor Casino welcome bonus should make you feel adequately warm and fuzzy enough. £175 in real cash, awarded in stages after you have wagered a certain amount of money. There are definitely welcome bonuses with less strings attached available out there and, BetVictor Casino promotions seem to be more suited for the serious players and high-rollers amongst us. As an industry giant, they don't just have some of the best gaming software on the market; they also have a large array of deposit methods. Withdrawal is limited to only a few of these methods but, all in all, along with the excellent customer support, any issues should be sorted out in the blink of an eye. With UK and Irish Freephone numbers, and an email address thrown in for good measure, most people will enjoy the 24/7 live chat support option. There is also the nifty feature of leaving your number and being called back. So looking forward to playing the Invisible Man Slot at this casino! Cannot wait! I started out using BetVictor for their sportsbook. Now I really enjoy their casino games. I like playing blackjack after I make a few bets on my favorite teams.